Knightsbridge is one of the most prestigious shopping neighbourhoods in London, one of the world’s greatest cities. As one would expect, a vast array of luxury businesses call this area of the city their home and offer only the highest standards of products and services. Make sure you explore the exclusive location of Knightsbridge to discover its luxury offerings while using the following luxury list to guide you along. Frey Wille was set up by Michaela Frey in 1951. Since then it has undergone much development and has been completely transformed from a relatively small Austrian manufacturer to a business that is active on a global scale in the area of artistically designed jewellery. It now specialises in precious fire enamel jewellery and other luxury accessories at its Sloane Street boutique. This luxury department store started out in 1934 from humble beginnings when Charles Henry Harrod started trading in East London as a grocer. Since then, it has become one of the most iconic luxury department stores worldwide. It has over 330 departments over seven floors featuring the most exquisite collections. Following its ‘anything is possible’ philosophy, Harrods is continuing to flourish from strength to strength. Porsche Design has been renowned for its timeless and functional design since being established in 1972. It has a luxury product line featuring luxury men’s watches, sunglasses, luggage, mobile phones as well as many other accessories. The Porsche Design Studio has received over 170 international awards, confirming its place as one of the most revered in Europe. Each of the firm’s products are reflect its unmistakable iconic style. Porsche Design is present at Harrods, right in the heart of Knightsbridge. Thanks to a secret ‘handstaking’ technique, bags from Ethan K are extremely lightweight with a reduced thickness and soft touch. Its founder believes that personal style shouldn’t be dictated and is inherent which is displayed through collaboration with clientele through a bespoke collection. A wide variety of finishes, skins, colours as well as meticulous details can add a personal touch. Ethan K in Knightsbridge is present within the walls of high-end department store, Harrods. Your appetite will certainly require satiating after a busy morning’s shopping. Dinner by Heston Blumenthal at Mandarin Oriental offer a delightful selection on its highly recommended lunch menu from 12 – 2.30pm to satisfy your hunger. This Michelin-starred restaurant has a relaxed décor with glass walls that offer a view of the busy kitchen, unlike any other luxury London restaurant. If your stomach fancies something a little lighter, consider The Rosebery within the same hotel at 66 Knightsbridge for elegant Afternoon Tea with Champagne Cocktails. Those with a sweeter tooth may appreciate a short stroll off Knightsbridge to 5 Motcomb Street where Rococo Chocolates exists. This London Chocolatier was founded by Chantal Coady in 1983 who dared to share her love of chocolate with others. After receiving multiple prestigious awards, Coady has changed the face of chocolate retailing and spread its joy far and wide. Rococo Chocolates has been referred to as the ‘New British School’ of chocolate. If you are looking for an ideal luxury fragrance gift in Knightsbridge, then Amouage is a great place to check out. This internationally recognised luxury fragrance house creates the finest perfumes using the highest quality ingredients from around the world. Its creation benefit from a more inventive approach. Amanda Wakeley is best known for her signature “clean glam” style, stunning evening and cocktail dresses as well as accessories. She also has a popular bridal collection known as “Amanda Wakeley Sposa” which will suit a soon to be bride perfectly. Consider popping down to Amanda Wakeley on Fulham Road which is just a short distance from Knightsbridge. As always, if you feel that you have any other luxury businesses in the Knightsbridge area to recommend, feel free to let everyone else know in the comments below. Marta Miklinska is Digital Marketing Manager at 5ive Star London. 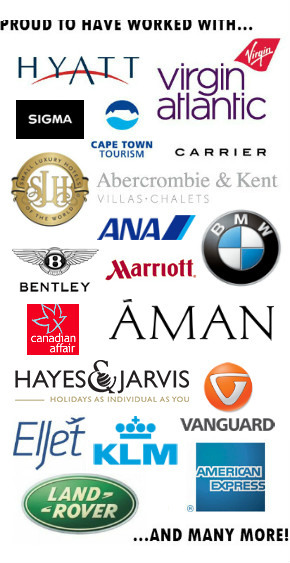 Those are some amazing brands, I hope to visit London in October, so Knightsbridge would be a wonderful place to explore. Staying in an Amazing hotel like the Mandarin Oriental would be icing on the cake.